Underinsurance is when you don’t have enough insurance to cover your loss. Underinsurance is a legal issue as it is something that is extra-contractual, meaning it is not something mentioned in your policy so legal council will always be used by an insurance company when this issue is brought to their attention. Within days, if not hours, following a wildfire adjusters, some agents and insurance contractors inform already dazed fire victims that they are underinsured. Usually, this is the first time the homeowner has even considered that their coverage might not be adequate. Over the years we’ve talked to thousands of people who have lost their homes to natural disasters. We have found that over 90 percent of the people we talk to not only are underinsured, but are grossly underinsured. Through interviews, we’ve found that only 8 percent of the people we’ve talked to who lost their houses in the 2007 wildfires were insured to at least 80 percent of their loss. Only 2 percent were insured to 90 percent of their loss. On average, the majority of the dwellings were only covered for 55 percent of their replacement value. 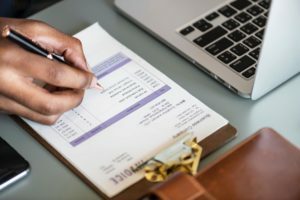 Even though insurance companies might claim to not be the expert in property valuation (a common claim they make when discussing the issue in public) they have the ability to determine exact dwelling coverage amounts using sophisticated and costly computer programs which they already own. Furthermore, even though insurance companies knew that reconstruction costs exceeded $200/square foot after the 2003 wildfires, 85 percent of the people we interviewed who suffered losses in 2007 were insured at less than $200/square foot. Is There a Remedy to Underinsurance After a Loss? Yes. It’s called negotiation. Usually negotiation to settle beyond policy limits takes place after an attorney is hired by the homeowner. In some situations, however, insurance companies are willing to negotiate above policy limits without involving an attorney. When you report an underinsurance issue to your insurance company they are required by insurance regulations to investigate. This means they’ll forward your claim to their legal department or other special investigative department (sometimes called SHU or “Special Handling Unit”) which could delay handling of your claim. Get paid up to your policy limits, or as much as they’re willing to pay. Document your entire loss with hard estimates including a Scope of Loss and your personal property inventory. Develop a list of specific instances where you think they acted in bad faith. Make sure you have a claim diary, or start one now. Interview potential attorneys for your case. ← What is a Scope of Loss?